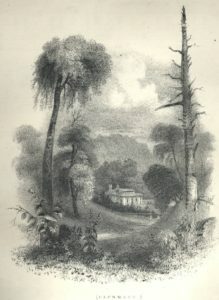 William Henry Bartlett was an English artist who became one of the foremost illustrators of topography of his generation. In 1835, Bartlett first visited the United States to draw the buildings, towns and scenery of the northeastern states. 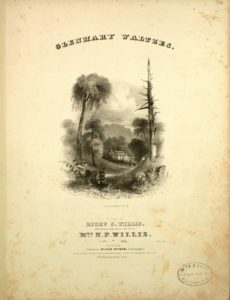 The finely detailed steel engravings Bartlett produced were published uncolored with a text by Nathaniel Parker Willis as American Scenery; or Land, Lake, and River: Illustrations of Transatlantic Nature, American Scenery and Letters Under a Bridge.